Advertising is one of the most dynamic and fast-moving sectors in the UK, employing over 250,000 people (source: IPA). Roles within this sector are constantly evolving and reflect the needs of a global digital economy. The following list provides some key careers resources to help you make a start with your research. Institute for Practitioners in Advertising (IPA) www.ipa.co.uk, a major professional body for advertising, media and marketing communications agencies in the UK is the IPA. They represent advertising agencies and looks after all aspects from research to creative and from production to media. The IPA also has placements, which are advertised from February onwards. Their jobs pages (www.ipa.co.uk/jobs) include entry-level positions for graduates. Advertising Unlocked are joint industry open days. The next one will be on 28 September 2018. Last year, 60 top advertising agencies in 8 cities around the UK opened their doors to over 1,200 students, school leavers, graduates and career switchers for Advertising Unlocked 2017 – showcasing the many types of careers available in Advertising, Media and Marketing Communications. theAdMission.co.uk IPA’s careers website, a useful first port of call to find out about this industry; includes different career profiles, internships – helps you decide what sort of advertising role might be right for you and provides information you need to get your first job; includes interviews with people working in different types of agencies and different disciplines – from account management to creatives, planners and project managers. Also, advice on how to get a job in advertising from agency staff who make the hiring decisions. Aspire Graduate Jobs, specialising in Media and Marketing Communications in the UK, e.g. PPC, digital marketing, media sales, digital sales, corporate sales, events, and property sales. 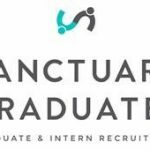 Graduate Recruitment, London & Nationwide. The Voice of British Advertisers ISBA www.isba.org.uk (marketing communications); the website lists over 400 members from business, not-for-profit and public sector. Career profiles at www.prospects.ac.uk/types_of_jobs.htm. Become well informed about what’s involved, how to get in, training, salary information, career development, case studies, resources, where to find jobs and more about specific advertising careers such as Advertising account executive, Advertising account planner, Advertising director and Advertising copywriter. Tip: Select the print-friendly option for the 4-page handout of the web pages. Careers and Employability Service, University of Kent – I want to work in Advertising – online information www.kent.ac.uk/careers/workin/advertising.htm Includes Top 30 advertising agencies, Questions Kent students have been asked at interview by advertisers, tests/group exercises, and other useful information. Click here to find out what a project manger in an advertising agency does. Most of the recruitment tends to happen on an informal basis, where networking is essential. Consider making direct contact with potential employers. LinkedIn is a tool widely used in this industry. 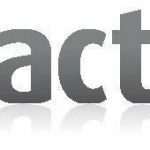 See www.linkedin.com; if you are unsure about how to use this for networking and job hunting, click here. The digital industry is growing significantly, and in 2013, over 55,000 jobs were advertised in this field (Source: Guide to the Digital Industry, Bubble). Whilst some jobs are for computer programmers or graphic designers, many positions are highly suitable for business and management students, in fields such as eCommerce, advertising and social media marketing. Roles are in Customer Relationship Management, Digital Product Management, Digital Account Management, Digital Project Management and many more. Bubble Jobs is an award-winning niche jobs board, specialising in advertising roles in the digital sector from the industry’s biggest brands. The Career Zone offers insights into these different roles. There’s also a guide about digital CV tips! Bubble Jobs have published a paperback in-depth guide providing a wide range of resources and advice for anyone considering a career in the digital industry. Resources include a detailed overview of the various job sectors in the digital industry as well as key growth areas, CV tips, job seeking advice and an extensive glossary of digital terms. Click here, if you would like to purchase a printed paperback guide. Below is a selection of advertising agencies that offer paid internships. This is not a comprehensive list, but serves as a starting point in your research. The A-Z Other Careers tab in this blog includes links to sites providing careers profile videos and insights from other graduates who are working in that field. You can search these by sector and job title, and there is also additional information relating to that career field, such as salary information, employers, geographical information and more.